Distinguished scientists from the field of environmental protection and botany—Prof. Peter B. Reich from the University of Minnesota and Prof. Jacek Oleksyn from the Institute of Dendrology of the Polish Academy of Sciences in Kórnik—have received the Poland–US Science Award, given jointly by the Foundation for Polish Science and the American Association for the Advancement of Science (AAAS). 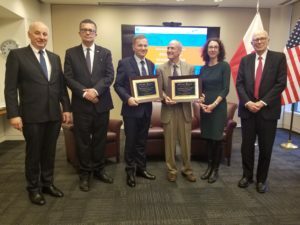 The ceremony bestowing the third-ever Poland–US Science Award was held on 15 November 2018 at the AAAS headquarters in Washington, led by Dr Julia MacKenzie, AAAS director of international relations. At the ceremony, congratulations for the winners were delivered by Prof. Piotr Wilczek, Polish Ambassador to the United States, Dr E. William Colglazier, AAAS senior adviser for international relations, and Prof. Maciej Żylicz, president of FNP. The laureates took part in a panel discussion moderated by Dr Pamela Hines, a senior editor of Science magazine specializing in plant science. The panel was devoted to the realities of scientific cooperation between researchers working every day in distant countries, in different systems for conducting and financing research. 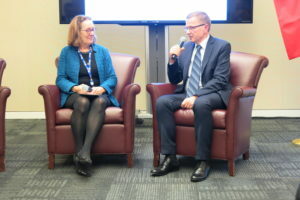 Professors Oleksyn and Reich underlined the importance of their face-to-face meetings, for which virtual contacts are no substitute. 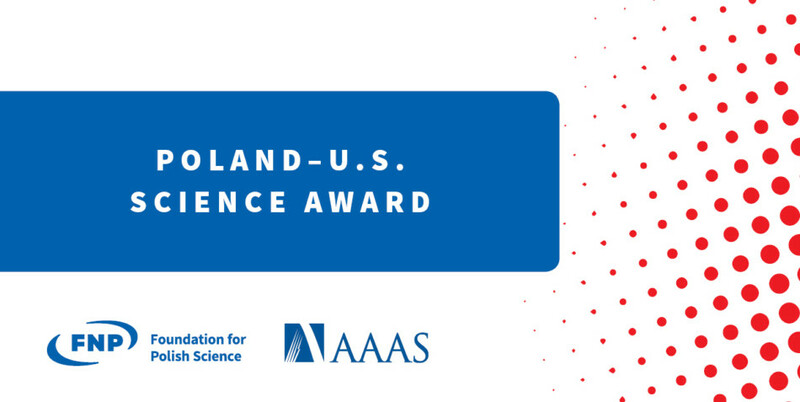 The Poland–US Science Award was established in 2013 to stress the importance of scientific cooperation between researchers from the two countries. It is given every two years to a pair of researchers, one working in Poland and one working in the United States, for distinguished scientific accomplishments resulting from their joint research. The award is decided through a competition. Candidates are nominated for the award, and a jury of distinguished scientists from Poland and the US choose the winners, assisted by opinions from external experts. Twenty-four nominations were filed for this year’s competition. The award carries a prize of USD 5,000 for each laureate. Professors Reich and Oleksyn were recognized for their research describing the differences influenced by climate change in populations of various species of trees across a wide geographical range. The researchers have been working together for over 25 years and have many accomplishments to their credit in their discipline. One of them is the discovery of general rules shaping physiological processes of plants and the changes occurring in them, providing a theoretical and empirical basis for a deeper understanding of the reactions of plants to various factors causing global climate change.